2-Step Verification: an extra layer of security for your account! 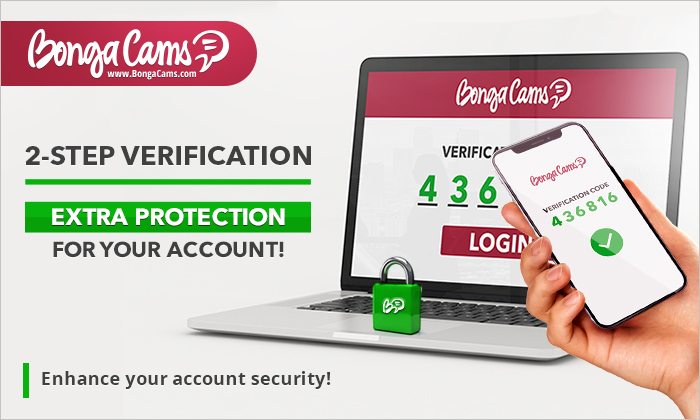 We are excited to announce 2-STEP VERIFICATION – a new reliable way to protect your account! By setting up two-step verification, you can rest assured your account is safely protected against hacking attempts. Every time the account is accessed from an unidentified device, a verification code, which only you can get, will be required. The verification code can be received through a special mobile app, an SMS message or a voice call. Enhance your account security by setting up two-step verification right now! If you have any questions, please do not hesitate to contact our support service. This entry was posted in BongaCams News and tagged authenticator app, Bongacams, members security, safe accounts, security feature, two-step verification, verification code by BongaCams. Bookmark the permalink. Hi. I want to chat with you.